Christmas Card Idea - Pickle Style! Zonta Christmas Extravaganza - THIS Saturday! PROUD of my new SHOP! 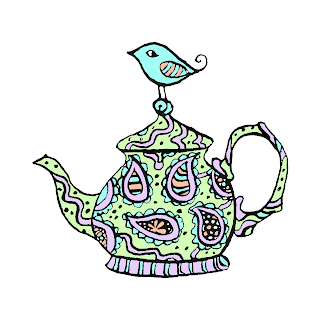 Craft-Tea Time! TODAY until 2pm! 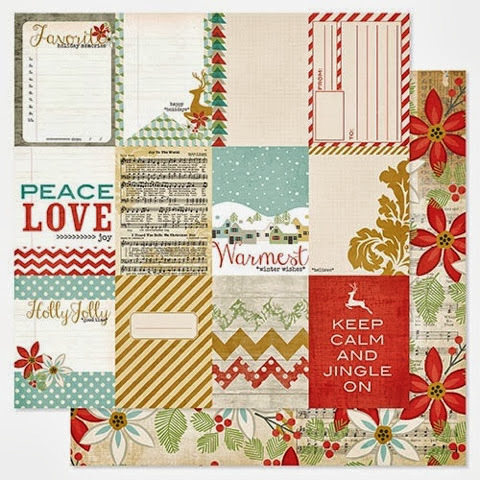 Zonta Cardmaking Extravaganza - Christmas STYLE! 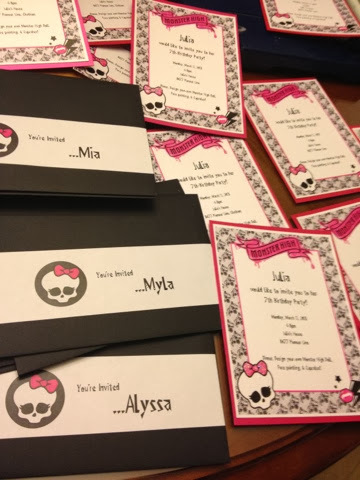 My STATIONERY Designs & Wedding Show THIS Sunday! Fall Hours & A Winner! One question that has come up time and time again throughout this year of change has been "Will you be offering classes? " And when I put the call out for suggestions, guess what came up a few times? So what the heck? Let's just get on with things and get the classes going again! Give the people what they want! 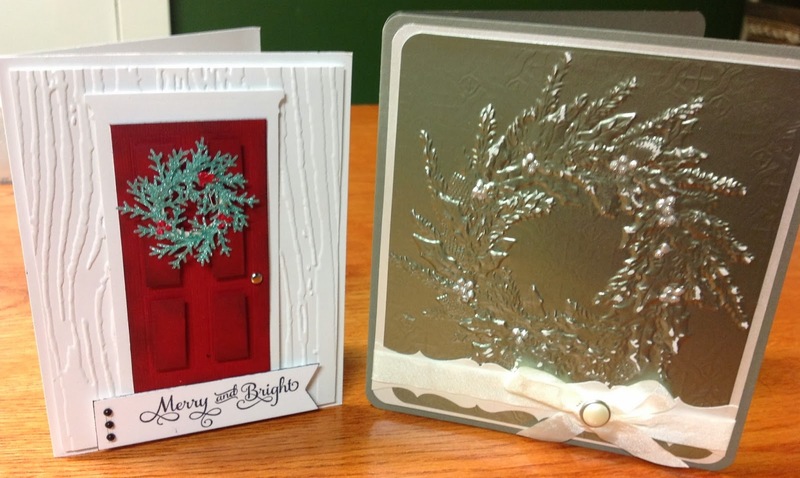 Here are two gorgeous Christmas cards Debbie will be teaching you! If you are looking to learn something new and wanting to get some ideas for your Christmas cards, this is the class for you! Debbie has been teaching for years and is a pro! So grab a friend and check it out! Trust me when I say you will have so much fun!! So just picture it...being taught these two great cards in the cutest and most creative coffee shop of all time. We will be setting up people at the various tables throughout the shop (on The Paper Pickle Patio area!). A warm beverage will be provided to add to the ambiance. It will be so cozy and quaint. I am very excited to start classes in our new space. If you are interested in taking the class, PLEASE stop in to register (REMEMBER the next day we are open is Saturday - open 9:30-3pm) or call the store and leave me a message with your name and phone number! We can take care of payment at a later date. PS....Sorry I made you wait all day before I posted details about this card class! Hope to see you in class!! 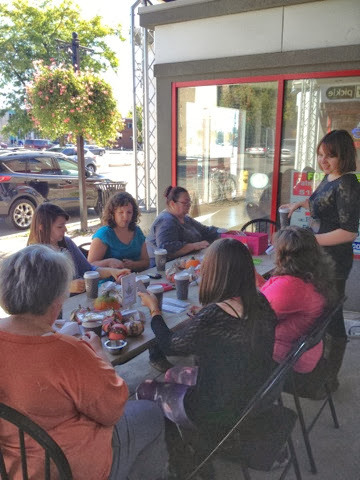 I had THE most amazing time at The Zonta Christmas Card Making Extravaganza last Saturday. It is so well organized and it is such a treat to chat with customers and discuss our love of the hobby! This event happens in March and October so make sure you keep you eye out for the next event. Trust me, you DO NOT want to miss it! It is SO fun that we have participated in ALL eleven sessions! These are two of the three projects people made at my table. The third project was a little kraft paper bag that could be used as a gift card holder (sorry no picture of this but it is in the store if you would like to see how simple crafts can be and still be amazing!). Truly it was as easy as stamping a sentiment on the little kraft bags we sell in store (25 for $3.50) and adding a little washi tape! 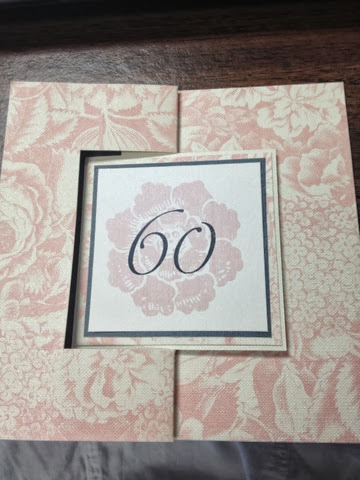 I had made a 5x5.5 card using kraft card stock. I stamped the Penny Black Image (12.99) in Plum Archival Ink (6.50) on kraft and then stamped the Penny Black sentiment and embossed with white embossing powder. This sentiment caught my eye right away as it is different than any I have seen in the past. This comes from a larger polymer set that includes many unique and beautiful sayings (16.99). Isn't it a gorgeous set? A little washi tape was used to dress the corners of the top layers of the card. Many of you have asked how washi tape can be used on a card and I wanted to show off just one way I thought of using it to fill the space and embellish this card. We also made a fun little wooden clothespin using the stamp, ink, vintage lace, twine and the dimensional flower dies from Spellbinders. I have been using these dies on EVERYTHING these days. Have you noticed? Truly, they are such a great way to use your paper and look like a superstar! No one needs to know that they take only minutes to make! I joked with the ladies on the weekend and showed them what my initial attempts at this card design looked like. When I create, sometimes I think I am going to work with a particular product and image and then change my mind once I get playing. The moral of the story is to NOT be afraid of playing and ruining a piece of paper because this is what can happen. I am quite pleased with the outcome! It definitely has that "Pickle" feel! 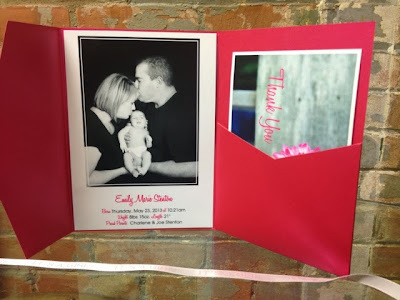 And if you want it to be more traditional, swap out the kraft card for a burgundy card to match the ink. It too is gorgeous! So what do you think? Like my card? Want to see this as a class with maybe one other card? Let me know and we will make it happen! Tomorrow I will be posting the cards for our upcoming card class. Yes. You heard right! We told me you were hoping for classes to return and I listened! The class will be on Wednesday November 13th in the evening. I have a few other big announcements but I will leave you hanging until tomorrow....I'm so bad. Last call! 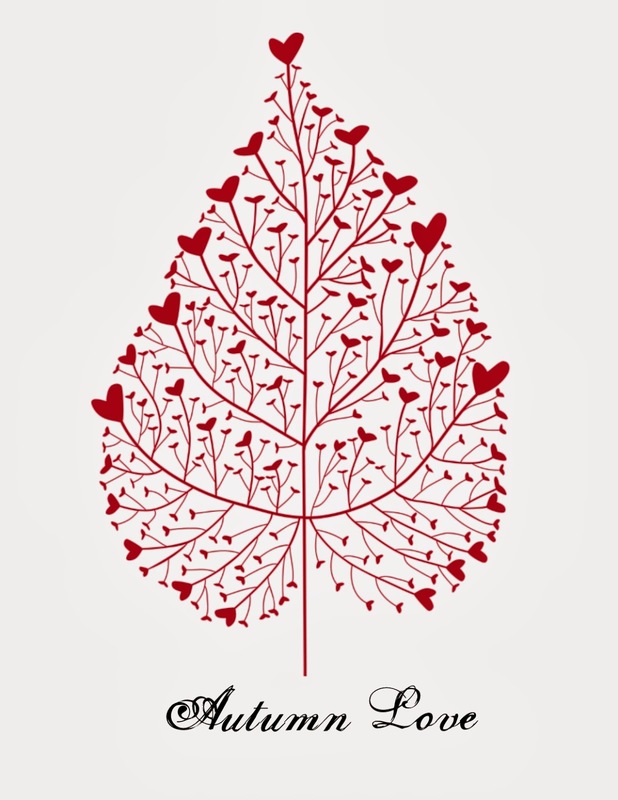 If you love card making, THIS EVENT IS FOR YOU! If you are looking to learn new techniques, THIS EVENT IS FOR YOU! If you are looking to get out of the house, THIS EVENT IS FOR YOU! If you are looking to help a good cause, THIS EVENT IS FOR YOU! 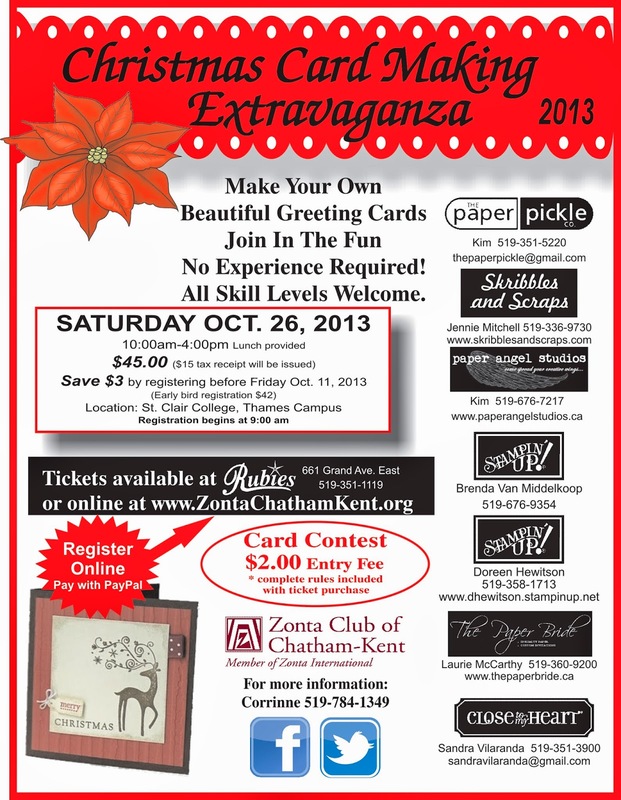 The Zonta Christmas Card Making Extravaganza is happening THIS SATURDAY from 10am-4pm and it is NOT too late to register! $45 is all you need and you will make approximately 8 projects, get a yummy lunch from Maple City and have a little lot fun along the way! My projects are actually designed already! As you know my super hero name is "Last Minute Girl" with super power ability to pull ideas out of thin air but ONLY when pressure is at an all time high and deadlines are looming! Ha! All joking aside, I am thrilled to teach you my card and bonus projects! I will say that they definitely have the signature "Paper Pickle" look and I am quite pleased and proud of my creations! So come and join me on Saturday and you can judge for yourself! Sorry.....absolutely NO sneak peeks before! See you Saturday! Register online or stop by at Rubies on Grand Avenue! So it has been one year since we have moved in with Dekoko's and our love affair is still going strong! We love how Dekoko's fills the air with a delicious aroma and they love how we fill their space with beautiful craftiness! I will argue that it is one of the coziest AND most creative space in the city and we are always going out of our way to provide amazing customer service. Today I told Natasha that the milk from the latte was not sitting right with me these says (since we began our healthy eating regime) and she suggested a cappacino - same amount of espresso (thank the Lord) but less milk. And guess what? She was right! Just as good as a latte taste wise but better for my tummy! They just know at Dekoko's how to make my day and life for that matter! So I told you it was my goal to get the shop looking perfect by the fall. Slowly but surely, I think I am almost there! Check out the new shelves I hung last night. 3) a good song can turn my mood from "why me" to "everything is going to be alright"! Can't you just hear Bob Marley singing along as you read this? Last night I hear Bruce Hornsby and the Range's "The way it is" and my mood turned instantly. That song has always been a favourite of mine and Trevor's. Just listen to the piano to open this phenomenal song. 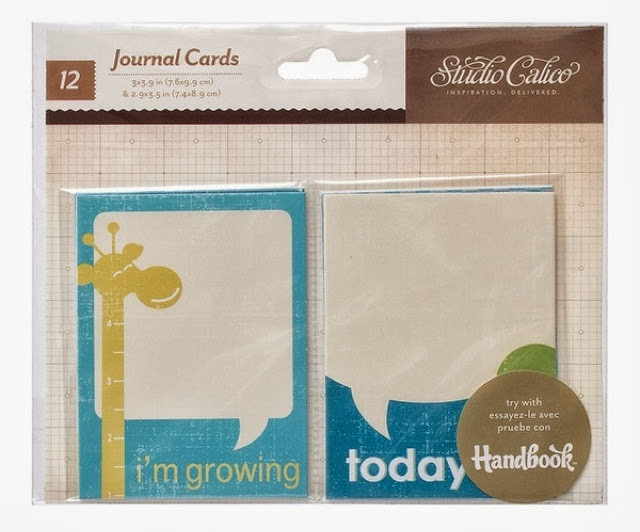 Great new product including Studio Calico (Story Time) and PROJECT LIFE! Yes. 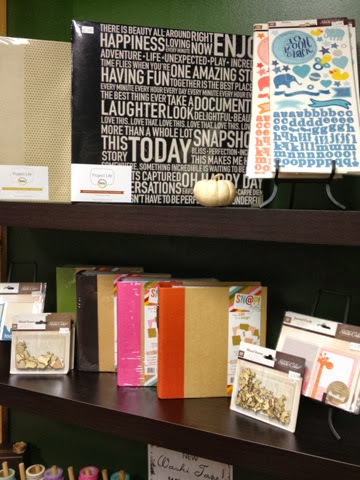 This is Project Life and SN@P on our shelves. Only THE hottest scrapbooking products on the market! 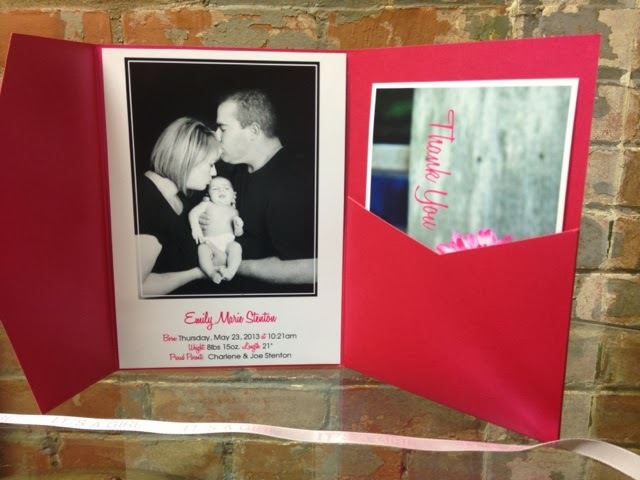 They are the ultimate "quick" scrapbooking lines that are saturating the market. Not sure what Project Life is? Have a look at this video. It is photo album meets scrapbooking. Genius. SN@P - What is it? 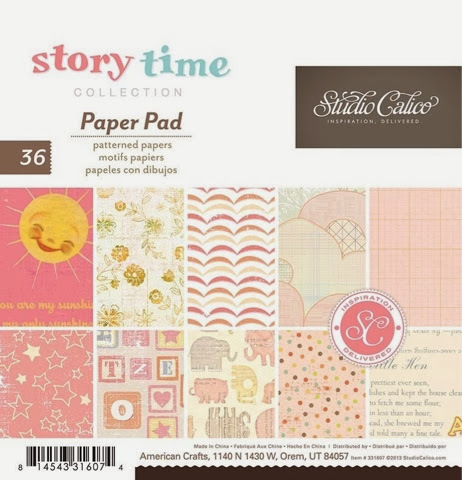 great selection of Simple Stories SN@P in store! Have a look at the video. Now even the stampers out there will have to agree that this looks super easy and that maybe you could be the keeper of life's moments. Too fun. Too easy. Please note that BOTH of these lines are HUGE! 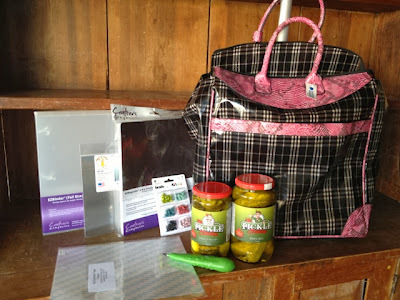 The best way for me to meet your specific needs is to offer special orders! I can order pretty much every item from these companies! IF the items are in stock, they can be here in as little as one week from the time I place the order. Please let me know what you are looking for and I will hook you up! That's just what we do here! This goes for any product you see on the market. Just ask and I will see what I can do for YOU! So as you can see, I am very excited about the store and the new product offerings these days. 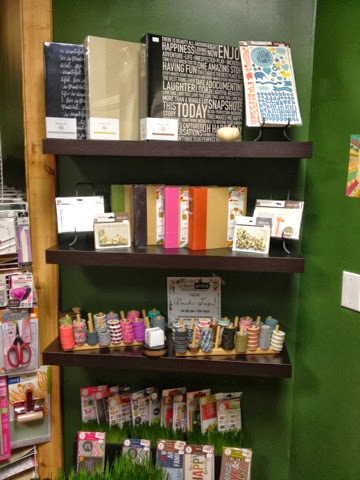 Please keep spreading the word that The Paper Pickle is THE PLACE to get the coolest paper crafting products in the area! I have always said that we may be smaller, but my inventory numbers show me that I have just as much product in this store as the old one! that i have been dying to get in! No excuses now! Get in here. Open are until 3pm! How COOL is this? 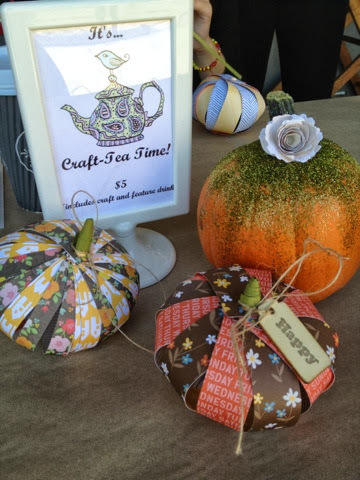 The Paper Pickle and Dekoko's make the local newspaper for our Craft-Tea Time idea! Click the link above to read all the FULL story! Now doesn't this make you want to join us NEXT month?!? I absolutely love this photo of little Brianna. She and her mom and grandmother come every month for our craft! Three generations. Coming to my store. Wow. I am flattered and honoured. While on a sentimental roll, I have to tell you that this month's craft was somewhat inspired by a customer's email to me. Out of the blue, she emailed me a photo of the paper crafts that decorate her home. 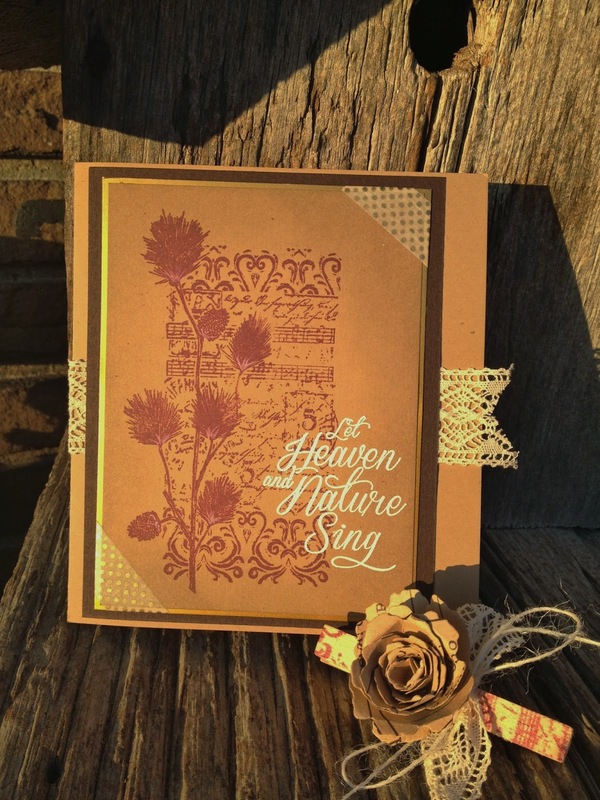 Have a look at Teresa's beautiful creations. Didn't she do a nice job?!? I LOVE the dimensional pumpkins! She absolutely MADE MY DAY by sharing and by thanking me for "being such an inspiration". Now isn't one of the main reasons why we craft? To share our pride for the items we create? To make others happy with our creations? To do something useful with our time? To relax and unwind? I know I craft for all the reasons above. 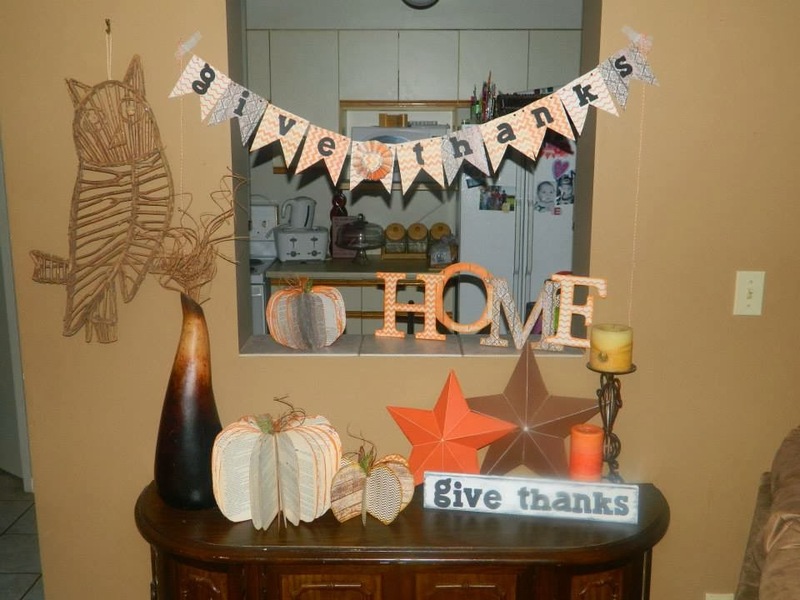 So Teresa's email and photo had me thinking....maybe it would be nice to feature a crafter and their creations right here on the blog once a month. Please send me your photos and a little description via email and I will feature you here! I will do my best to get all of you on here! So it was really cool on Saturday when we were doing Craft-Tea Time, one woman had a great idea of turning this project into a Christmas themed project. 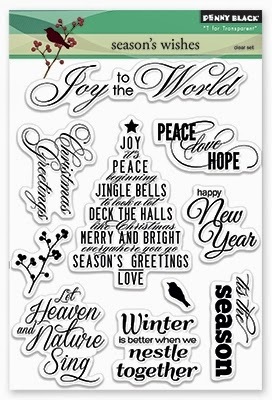 By changing the papers and topper, these could be Christmas ornaments to decorate your home and tree! You guys are SO smart! We are taking advantage of the BEAUTIFUL weather and crafting OUTSIDE today! 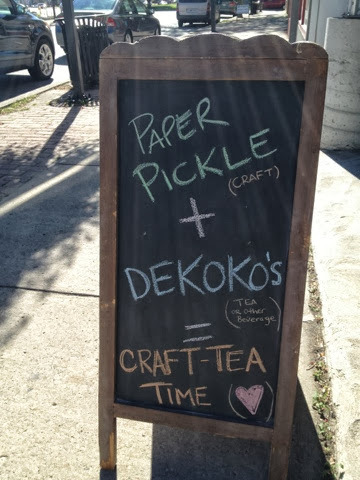 Join The Paper Pickle (craft) and Dekoko's (tea or any beverage!) for Craft-Tea Time. Enjoy BOTH for only $5! We are making adorable paper pumpkins that could be used at your table this Thanksgiving or decorate any small space!! You will see we have a BIG crowd today! Can't think of anything I would rather do today either!! 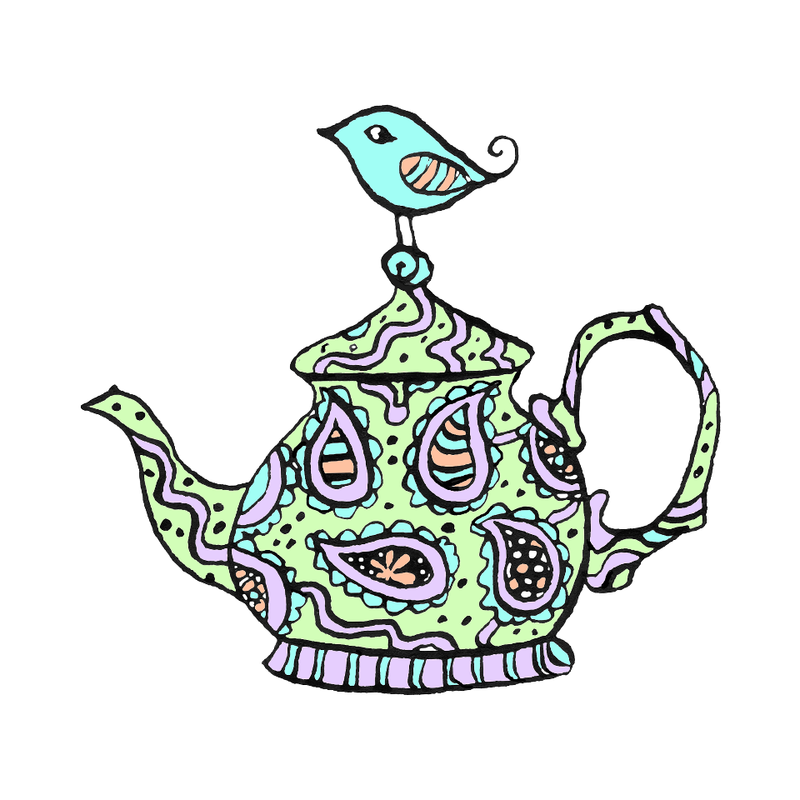 Craft-Tea Time will continue indefinitely! I mean we are having WAY too much fun here!! ALWAYS the 2nd SATURDAY for each month! PS...open today until 3pm. Happy Thanksgiving everyone! An amazing event is coming up Saturday October 26 from 10-4. 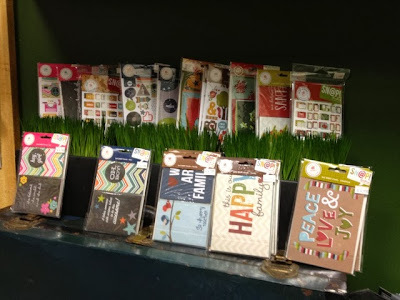 It is the Zonta Cardmaking Extravaganza. The reason I love this event in particular is because this is the Christmas event! All projects are Christmas themed. The way it works is that you will spend 30 minutes with each teacher creating a beautiful Christmas themed project and then you rotate to the next table until you complete all the projects. There is a nice lunch from Maple City included in your fee. Please note that the early bird pricing is coming to end tomorrow! You can register online or stop in the store with your payment! This event is normally a sell out so make sure you sign up soon! There is also shopping at the event and a card contest! Grab a friend and enjoy the day doing what you love most! 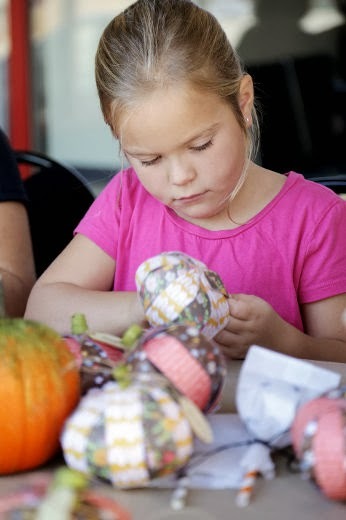 A fall themed craft is planned for this Saturday from 10-2 at The Pickle! Enjoy a little craft and a drink from Dekoko's all for $5! Seriously, take some time for you and slow down before you have to battle the crowds at the grocery store. It will be so worth it!! There are lots of new goodies in the store again. I won't tempt you with too many photos here but if you stop in, I know you will not be disappointed! Let's just say a new die and embossing folder order has arrived! Look out! I met Serena Ryder last night before she performed at the St. Clair Capitol Theatre so I am still beaming. Mind you I am a little groggy....living the rockstar life style is tiring but SO worth it! I won tickets from SWOMP. SWOMP is dedicated to informing people about music taking place in Southwestern Ontario. What a great resource and what a wonderful way to bring together music lovers! Make sure you get out to check out some of the amazing acts that are coming to out beautiful theatre! My next big show will be Sloan! You will notice the paper in my hand. Julia drew a picture for Serena to autograph. You should have seen that little girl's face this morning when I showed her the artwork WITH autograph! The show was just incredible. This girl is uber talented...plays guitar, drums, all while singing! Just awesome! I hope your day rocks! Come and visit me at The Portuguese Club in Chatham today! 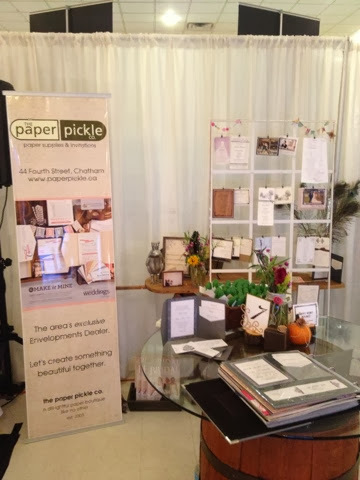 The Paper Pickle is here from 12-4 doing what we do best...being original and sharing our passion for paper and beautiful things! What do you think of my booth?!? This is a great show. Stop in! 12-4pm Sunday! TODAY! 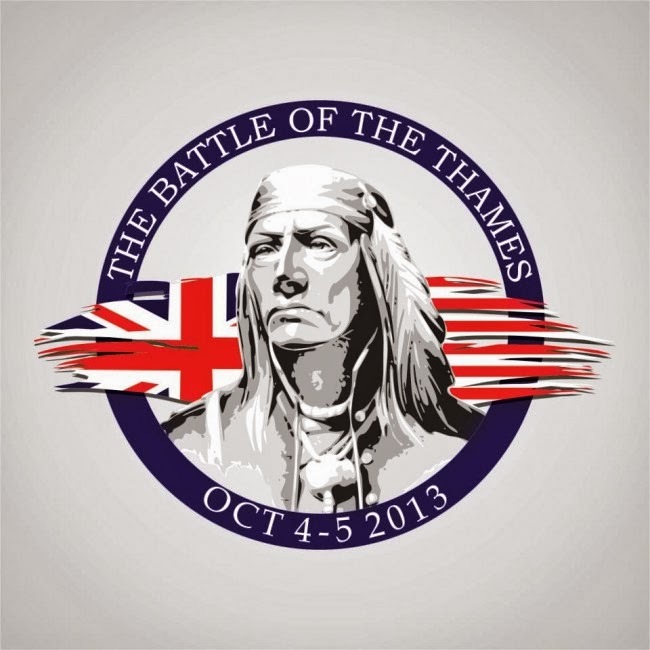 Battle of the Thames - Enjoy a NEW Hobby Tomorrow! Today I had one of those serendipity moments...you know, a happy accident. Trevor is on the board at the Chatham-Kent Children's Safety Village and they were looking for volunteers to help run their food truck for the Battle of the Thames Event. Trevor asked if I wanted to spend the day volunteering and I was ALL over that! I do enjoy being in the office, but a change of scenery on a Friday is wonderful and helping a good cause at the same time is even better! Trust me when I tell you this is an event NOT to be missed! Today was an education day and their were buses and cars galore! But the people in costume and the various event were fabulous! Check out their website for details of the incredible and once in a lifetime events that are happening Saturday ONLY! It was a busy day setting up the food truck for the Safety Village. Stop by Saturday for delicious pulled pork on a bun (so good! ), jumbo hot dogs (the cheapest at the event I hear!) and even deep fried Mars bars (what the? Sounds like heaven to me!) with all money going to help one of my favourite non-profit organizations! The support from you is what helps to educate children on ways to stay safe and ALIVE! Here is one girl studying near her white tent. I walked through the portion of the event where all the tents were set up! There were these incredible white tents with people doing everything from selling their wears to knitting, to cooking, to making pottery, to studying, to telling stories...you name it! And the best part is that they were all in period wear. There were Generals having conversations. There were Indians chanting and dancing. There were women in the most fabulous dresses and bonnets. Here is a picture of my most favourite booth. The girls are from Niagara on the Lake and have a business called It's Thyme. The girls were working on their homework while the mom tended to watering the cut flowers. Notice the beautiful layout of the booth. This seriously made my heart swell to the point I thought I could not stand it anymore. I mean it is amazing that I could find pure joy at a simple, vintage booth! And I know it was not just the booth alone that caused this sensation. It was the passion. It was the dedication. It was the organization and hard work involved in this single event that really made me take notice. Notice the girl who is suppose to be studying? She was daydreaming in every photo I took! So I asked about all the beautiful cut flowers that she had in her shop and asked how they were sold. She told me I could design my own bouquet. I told her she was the expert and to surprise me! And she did! Here is the designer of my beautiful bouquet. I wish I would have asked her name! Also at a mere $4, I wish I would have asked her to make me a few more for my sisters and mom! 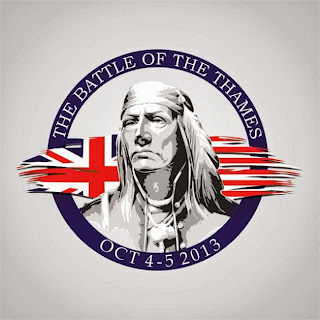 So the whole point of my blog today is to tell you that you MUST attend Battle of the Thames tomorrow! Get out and experience another "hobby". It's funny that I have never thought of participants and events like this as a hobby before, but it is! I was told by one of the organizers that "The people in this hobby are so passionate and dedicated. They love what they do, and it shows." Hmmm....kind of sounds like us. Seriously. Don't let the big crowds scare you....it's Saturday. What do you have to do anyways? Don't let the chance of rain scare you...it will be warm and it will not matter. This will not happen again! It may not be "accidental" but I do guarantee that you will find "happy" once you get there! Why settle for an invite from a book? Create UNIQUE and custom stationery at The Pickle! You ever wonder what the heck I am working on over here? I mean I may not be filling the store with record numbers of cards or page layouts and yet you hear me say I am busy. Well a big part of our business here at The Paper Pickle Company is creating beautiful, custom stationery for ANY occasion including weddings, birthdays, anniversaries and more! 2013 was filled with some of my most favourite designs. Here are just a few that I had on my phone. 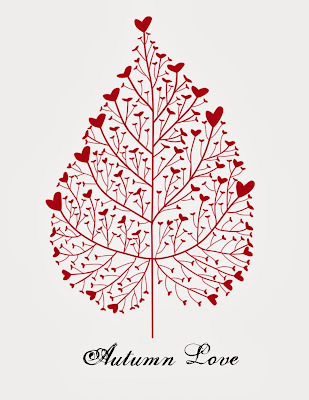 Simple yet, beautiful wedding invitation. They wanted to include a vintage feel so I used a fun typewriter font. 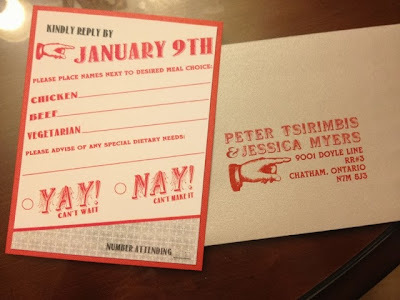 Reply card and envelope for a very FUN couple for their wedding this past February! 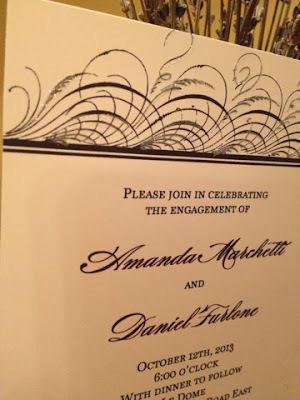 We incorporated "the finger" on all aspects of the stationery for the big day...LOVE it! (with the help from the birthday girl) for her 7th birthday! 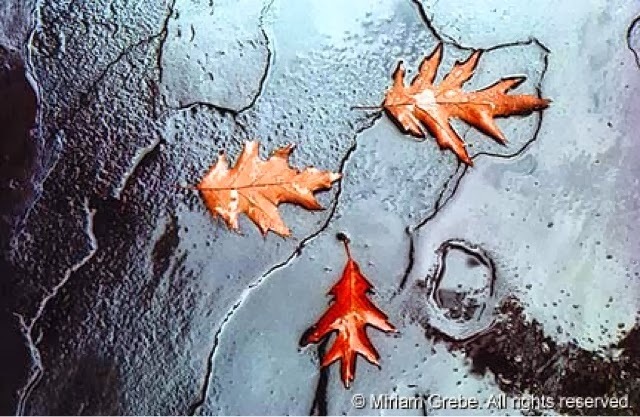 Julia was the one who found the background design! Excellent! I may have someone to take over the business when I retire! Ha. 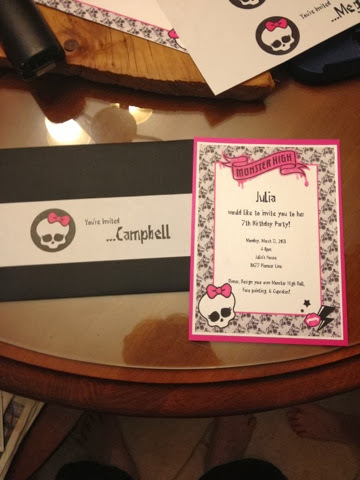 Here is a little closer view of Julia's Birthday invites! Notice the matching wrap around label for the envelopes. Such a nice touch. 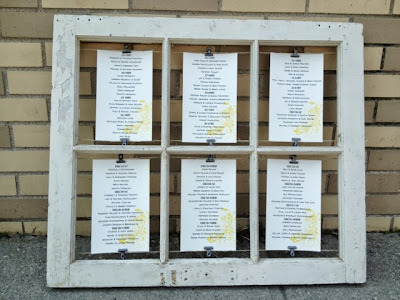 Not the clearest photo but this couple needed labels for their wedding favours. 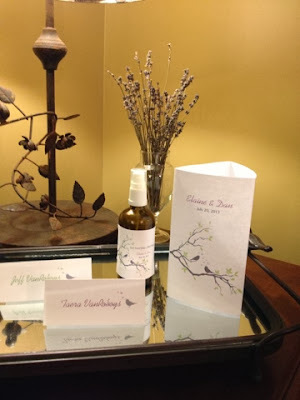 They created their own natural bug spray for their outdoor wedding! We also designed matching place cards and menu cards! 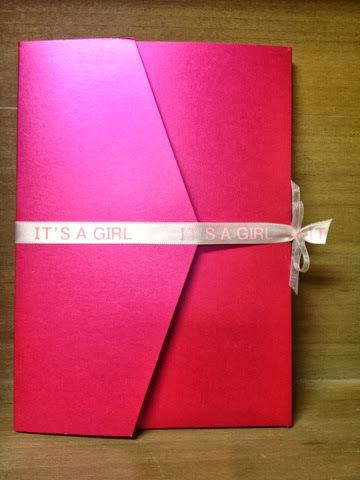 A pocket style Birth Announcement for a VERY special little girl! The ribbon was simple yet added elegance to this "fashionista" pocket! 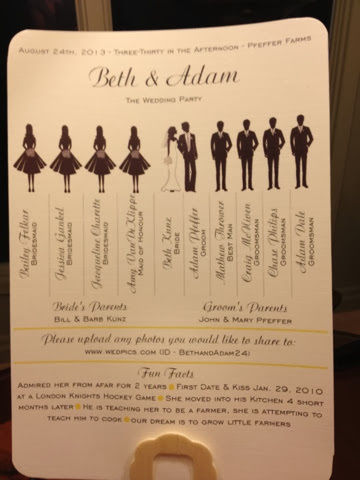 Here is a look at the inside of the birth announcement. We included a thank you photo card in the pocket as well as the actual announcement. This save the date was so special to me! when she asked me to help with the Save the Dates! We kept the paper a matte ivory linen and then kicked it up a knotch with glitter ritz on the flourishes. 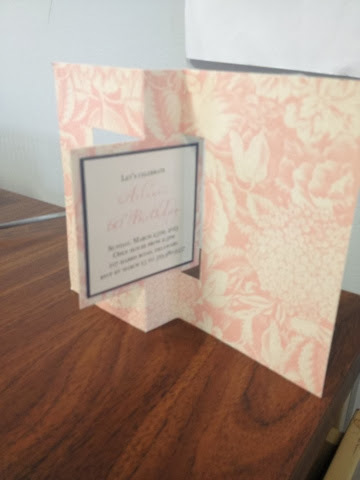 These were thank you cards for an adorable couple. What an awesome story too! 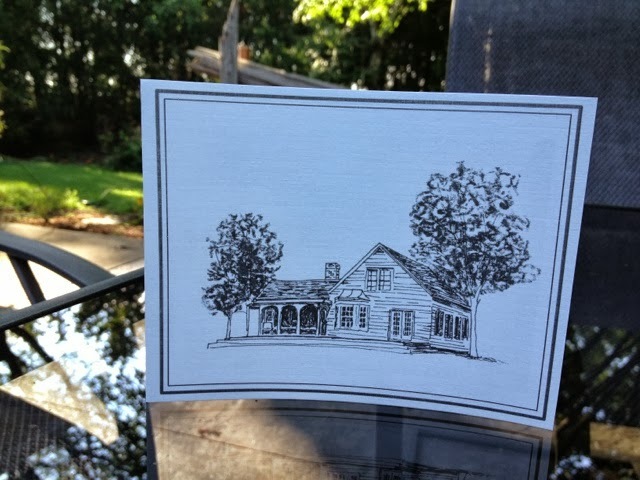 This is a photo of the wedding venue which their friend drew just for them! 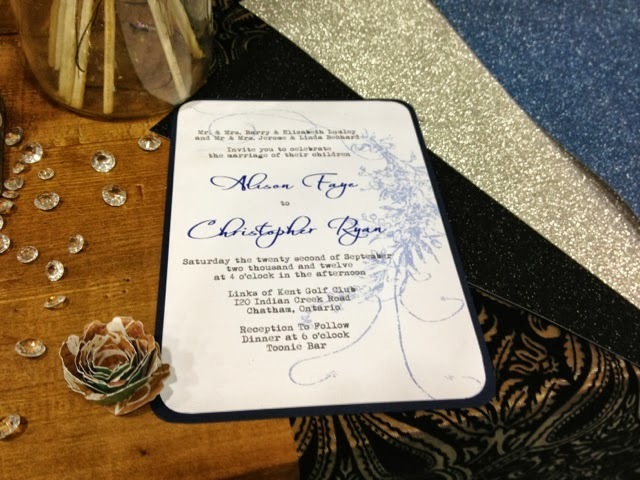 We incorporated this design on the invites, table numbers, programs and thank yous! You can't get more personal or custom than this! This is a fan style wedding program. This bubbly bride came to me with this idea and we HAD to make it happen! There was a fun wooden handle and twine at the bottom. and knew she had to use it one day for her wedding. Upcycling at its best! 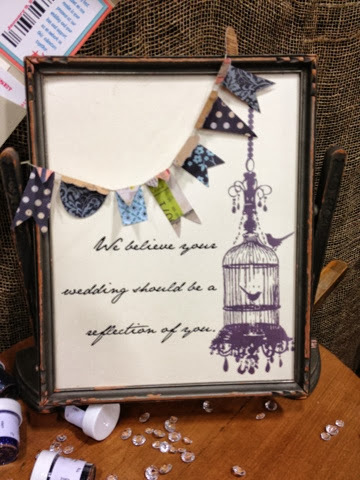 I assembled it for her using twine and fastener clips from Tim Holtz! This is an oldie but a goodie! 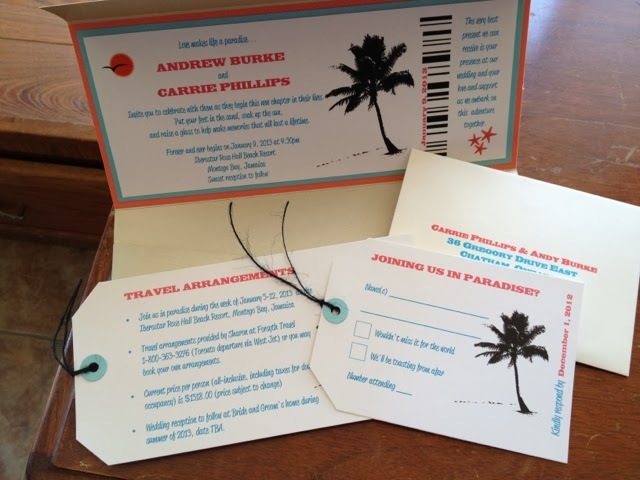 A beautiful wedding invitation for a destination wedding! Love the black twine accent on the enclosure cards! 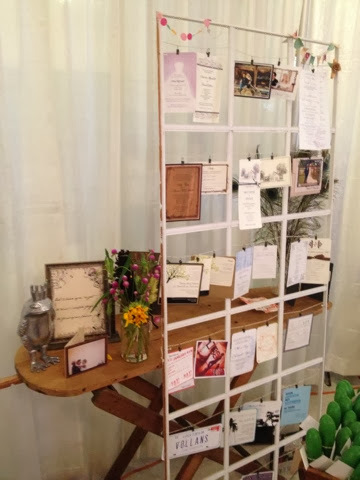 WEDDING SHOW - Sunday, October 6th! So what do you think? Why not create something beautiful for a special occasion? A lot of the product we carry at The Paper Pickle can be used to create unique invitations! I will be at The Portuguese Club in Chatham from 12-4pm THIS Sunday showing the world what I have to offer! Some of these designs will be on hand to view in person. If you know of anyone who is getting married or celebrating a special occasion, send them our way! Just a reminder that we are now open until 5pm on Thursdays! As mentioned yesterday, we will have extended hours in the months of November and December!! Stay tuned! ...but we also received great feedback about our wonderful section, great prices and friendly customer service! You sure know how to make a girl feel special...thank you! Please know that I will be thinking about each and every suggestion you brought forth! You will see changes beginning as early as TOMORROW! • More wonderful news about hours in November and December in my next post! Posting from my phone is killing me!! 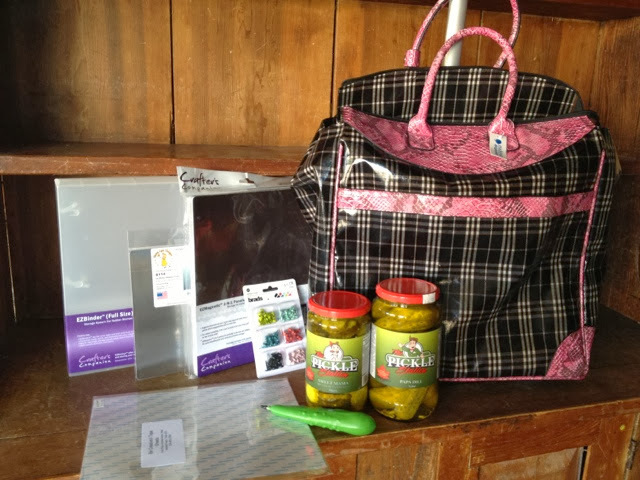 The big winner of the $150.00 worth of goodies is...Jody Vilaranda who sent many wonderful suggestions via email! Thank you again to all who participated! 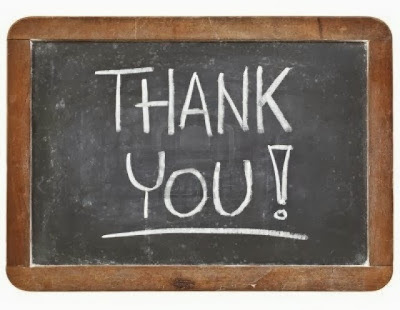 It means so much to me that you took time out of your day to comment!! Who would like more contests? Surprised you didn't think of that one! !